Rock Rapids, Iowa — Congressman Steve King was in northwest Iowa on Friday for a number of appearances. 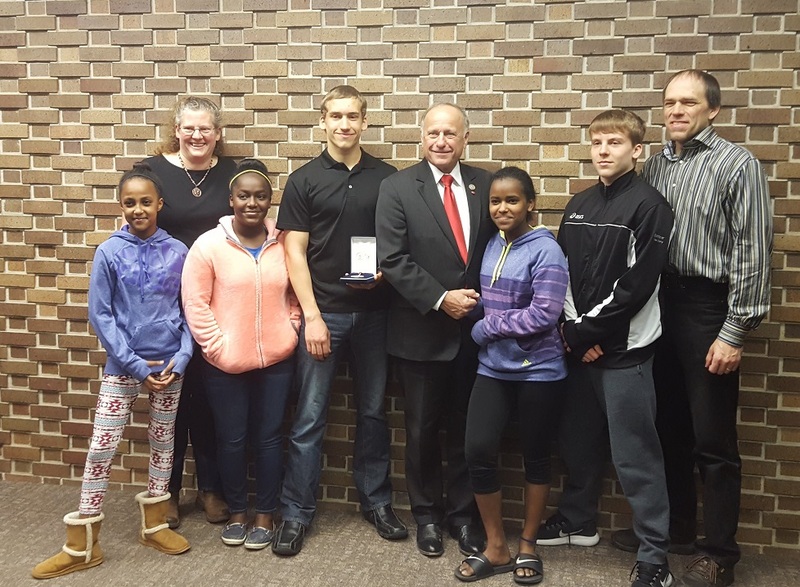 In Rock Rapids, the Congressman presented a medal to a Rock Rapids resident. 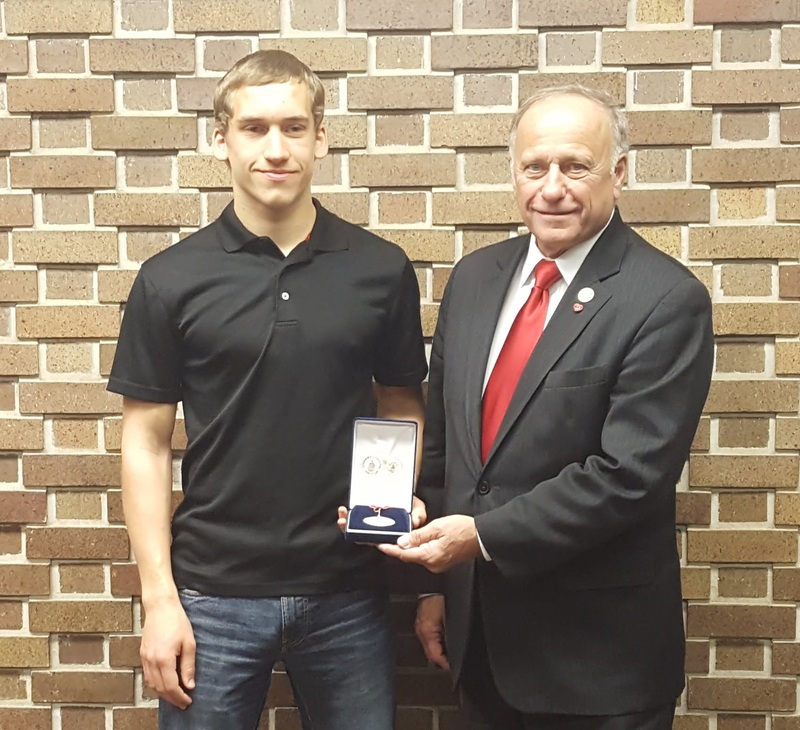 Congressman King presented the Silver Congressional Award For Youth to Luke Schriever, son of Darin and Laurel Schriever of Rock Rapids. The award is based on setting and accomplishing personal goals in the areas of volunteer public service, personal development, physical fitness, and expedition. King says the Silver Congressional Award is a significant achievement and tells us why he presented it to Schriever. Schriever tells us what he had to do to get the award. He tells us about the highlights of his service. Schriever tells us that he planned the entire kayaking trip to Wisconsin himself. After his stop in Rock Rapids, Congressman King visited and toured the Dur-A-Lift facility near George, and Noteboom Implement in Sibley. We asked Congressman King about the reason for his visit to the area. King visited the KIWA Studios Friday while he was in the area. He talked with us about a variety of subjects, including the U.S.-China trade situation. We’ll bring you his comments on future newscasts. This entry was posted on Saturday, April 7th, 2018 at 9:19 pm	and is filed under News. You can follow any responses to this entry through the RSS 2.0 feed. Both comments and pings are currently closed.